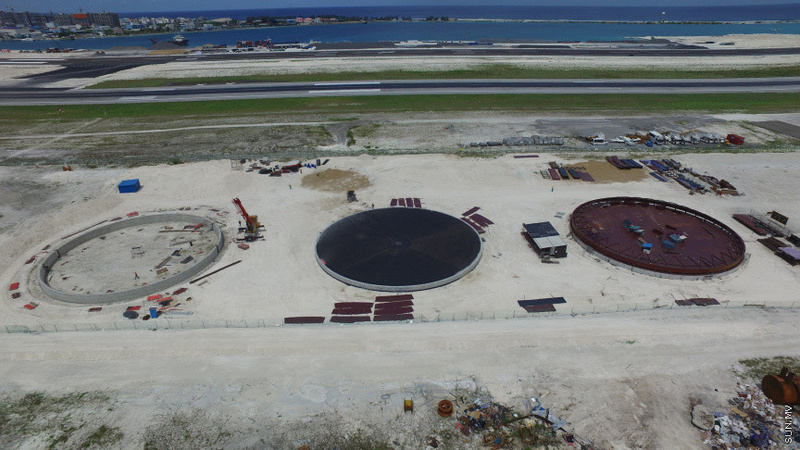 The new fuel farm being constructed at the Velana International Airport (VIA) as part of the billion-dollar national airport development project will be completed within six months, says Maldives Airports Company Limited (MACL). Speaking outside the fuel farm during a press viewing of the development project last Tuesday, Managing Director at MACL, Adheel Moosa said the new fuel farm has the capacity to store 45,000 metric tons of fuel and is three times the size of the current fuel farm at the airport. The foundation has already been laid for three fuel tanks which will be used to fuel jets. 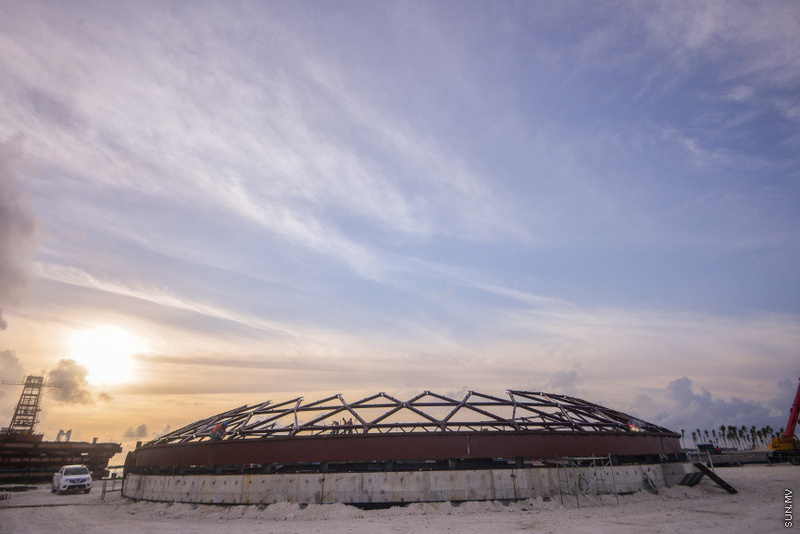 “The foundation has been laid and work on the top roof of the first tank is near completion,” said Adheel. Two more tanks will be constructed to store diesel used for operations at the airport. And a hydrant system will be installed to fuel airplanes. MACL says the new fuel farm will increase the efficiency of operations at VIA. The fuel farm will be completed with a port and jetty at the area. Construction of the fuel harm has been assigned to Beijing Urban Construction Group (BUCG) – the same company which has been assigned to build the new runway, seaplane terminal and cargo complex at the airport.